Ant-Man is the twelfth entry in the Marvel Cinematic Universe and probably takes the biggest risk out of them all, making a good film about a man who can shrink. Yet Marvel has done it again and produced another hit to add to their streak of successes. The story revolves around Scott Lang (Paul Rudd), a master thief, and his journey into becoming the Ant-Man. Scott is recruited by Dr. Hank Pym (Michael Douglas) and Pym’s daughter, Hope Van Dyne (Evangeline Lilly), in hopes that he can bring down Pym’s former protégé, Darren Cross (Corey Stoll), before he releases the Yellowjacket on everyone. Despite many people’s trepidations to Paul Rudd being cast as superhero, he nails the role. Rudd is naturally likeable and really makes you root for the hero like no other Marvel film can. Michael Douglas brings a sense a gravitas to the film in his role as Hank Pym, the original Ant-Man of the 80’s. He legitimizes the film by being the outstanding actor that he is by bringing a performance that fits with the tone of the film. Evangeline Lilly also stands out as Pym’s daughter, Hope. She doesn’t have the best relationship with Hank and it plays into the story in the right places. Of course one must mention and compliment the director, Peyton Reed. If you don’t follow production on films then you may not know, but Peyton Reed came onto the film only two months before filming was to begin. Despite the lateness of the hour, Reed is able to craft a comprehensive film with heart, humor and all the Marvel goodness you would expect. The action might be up there with some of the best of any Marvel film. Shrinking and growing and shrinking and growing, going back and forth between the two creates interesting action shots and great microphotography. And it leaves us with the one of the better third acts in the MCU with the fight between Ant-Man and Yellowjacket. 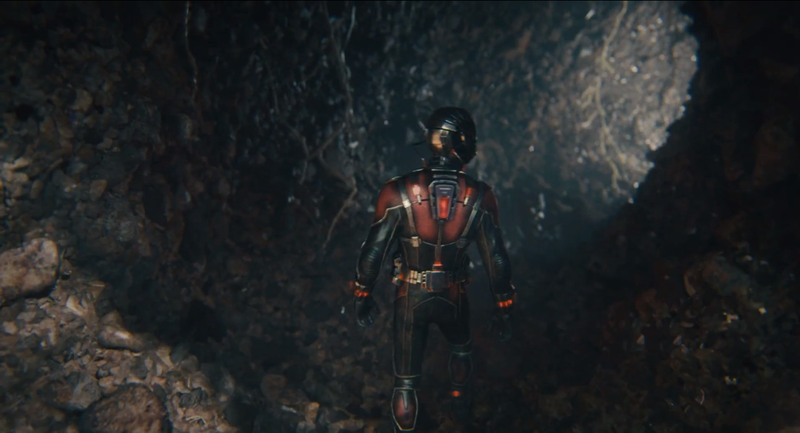 In the grand scheme of things, Ant-Man is a heist film that just happens to feature a superhero. The film has underlying themes about legacy and a relationship between fathers who have messed up and their daughters that suffer because of it. 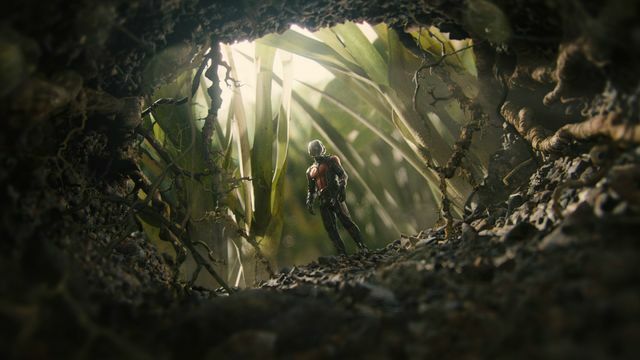 These elements, rather than the plot, are what move Ant-Man forward and create a rather spectacular film.